Welcome to the Petersburg Walkable Watershed project page! Here you will find information about the grant-funded Walkable Watershed project for the Robert E Lee neighborhood. This project is a collaboration between the City of Petersburg, James River Association and Skeo Solutions. This page will be updated throughout the project, so please check back often! The final concept plan identifying potential strategies to address flooding and improve community amenities is available for download here! Based on community input, the concept plan was revised and available for National Night Out event to be held in the community. Due to weather, the event was canceled. The revised draft was shared with Robert E Lee Neighborhood Watch meeting on September 13. The revised concept plan is available here. Thursday, June 14 at the Robert E Lee School at 7pm – The project team hosted a community input and review session as part of the Robert E. Lee’s Neighborhood Watch monthly meeting. The purpose of the meeting was to share a draft concept plan for community input and discuss opportunities to build partnerships and discuss funding for implementation. A copy of the presentation is available here. The meeting summary is available here. The draft concept plan shared at the meeting is available here. Skeo convened a working session with the City of Petersburg Departments of Planning, Parks & Recreation and Health, National Parks Conservation Association (NPCA) and James River Association (JRA) to share the draft concept plan and discuss existing programs, initiatives and funding sources that are active or relevant to the Robert E. Lee neighborhood. Skeo also held a meeting with staff from the Petersburg National Battlefield (National Park Service), National Parks Conservation Association (NPCA) and James River Association (JRA) to share information about each organizations efforts in the Robert E Lee (REL) neighborhood. 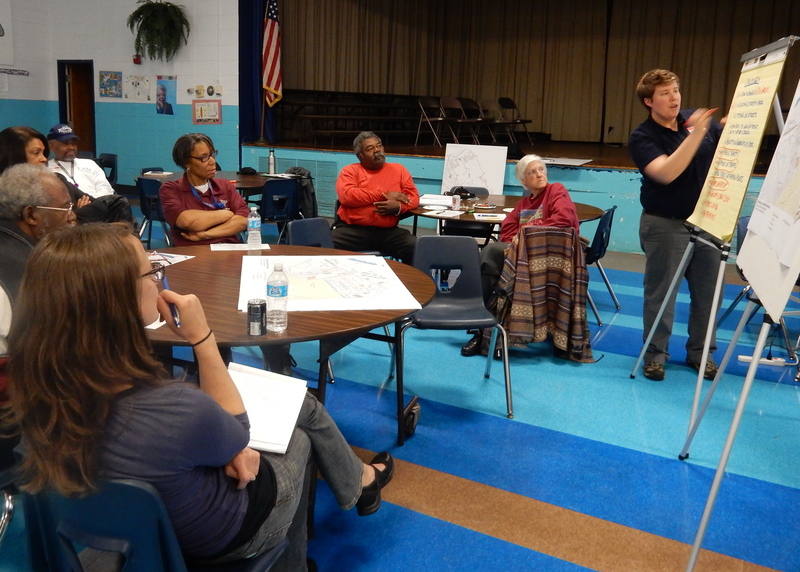 Thursday, April 12 at the Robert E Lee School at 7pm – The project team hosted a public input session as part of the Robert E. Lee’s Neighborhood Watch monthly meeting. The purpose of the meeting was to share information about the project and provide an opportunity for the public to review a draft stormwater analysis and provide input on a list of potential strategies to improve flooding, walkability, connectivity, and water quality. Input from this meeting will inform a concept plan that will identify potential projects in the neighborhood. A copy of the presentation is available here. The meeting summary is available here. Tuesday, January 12 at the Robert E Lee School at 7pm – The project team provided a brief presentation about the project and initial survey results at the Robert E Lee Neighborhood Watch meeting. Project staff were available to answer questions and shared community surveys for residents to fill out. A copy of the presentation is available here. As part of this grant-funded project, James River Association will be installing 100 rain barrels in the Robert E Lee neighborhood. Please contact Amber Ellis to schedule a time for volunteers to install your rain barrel! Click here to email her or call her at: (804) 788.8811 ext.205. 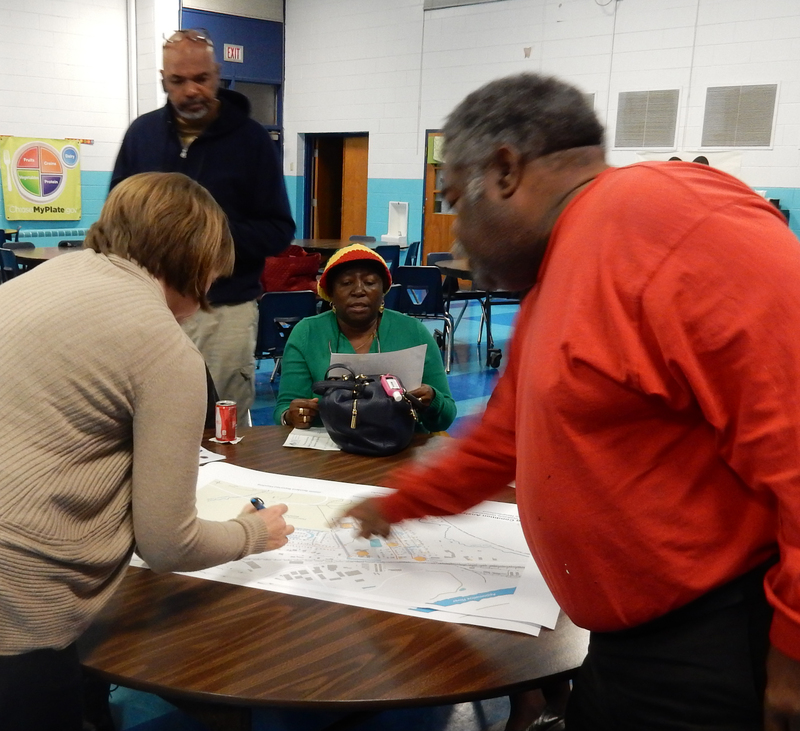 Surveys are being conducted in the Robert E Lee neighborhood through January 2016. 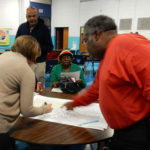 The survey is focused on community needs related to walking, biking, litter, local flooding and drainage issues in the Robert E Lee neighborhood (Pin Oak and White Hall). Individual survey results will be anonymous and confidential. Your input is important, we appreciate you taking the time to complete the survey below. Feedback from the survey will inform draft recommendations that will be shared at a public meeting in spring 2016 for community input. James River Association, Center for Watershed Protection and Skeo Solutions are launching Walkable Watershed projects in Charlottesville, Lynchburg and Petersburg, VA. Each city is in a different phase of addressing water quality with green infrastructure solutions. Funded by National Fish and Wildlife Foundation’s Innovative Nutrient and Sediment Reduction Grant, the project will focus on community-based planning to identify green infrastructure strategies, construction of keystone projects, and training for City staff. If you have questions about the project, please contact Amber Ellis with the James River Association at 804-788-8811 ext. 205.